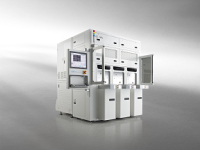 The OL-600n is an overlay metrology system with Auros’ unique and innovative technology, which can provide the optimum performance for the 2X/1Xnm nodes. This advanced system, in particular, offers the enhanced precision. The OL-300n is a system designed to provide optimal performance up to 2x design-rule devices, and also features low ownership costs, while yielding the highest throughput at the world’s highest level of precision. 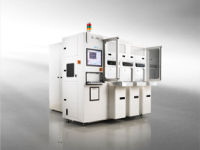 The OL-300nw is a metrology system that can accurately measure the alignments between very tiny pads and bumps of different sizes in the wafer-level packaging and TSV processes, which are new packaging technologies.